Alice has to move to the town her Mama and Daddy grew up in, a town that her Daddy couldn't get out of fast enough. Her grandma isn't doing well. Alice hopes the arrangement is temporary. She misses her friends back home. And misses her Daddy. She hasn't seen him in a long time. She doesn't want to make new friends. Doesn't want to do anything that would imply her family is staying. But she starts walking a dog with the next door neighbor, Miss Millie, every day. The ninety-two year-old African American woman is just the sort of friend she needs. To seal the friendship, Miss Millie gives her little mementos from her life when she visits. This, in part, inspires a plan. Alice has also found a box full of poems her daddy wrote to her Mama about the time they were courting. Not only do they speak of a time when he felt better about her mama, but he felt better about the town of Rainbow too. She decides to collect objects to remind him of the love that their family shared. This is the kind of book where the characters are real enough, the dialogue vibrant enough, that it moves past identity issues to being about relationships. Millie's brother is deaf. Miss Millie is African-American. Mama and Daddy are divorced or at least separated. But the story isn't about deaf rights or bridging racism or divorce. It's about friendship. It's about putting your heart out there even when loss is likely. And it's about learning not to let people who let you down keep letting you down. 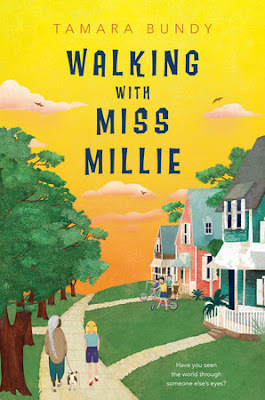 My favorite line is when Miss Millie tells Alice, "But if you're lucky, one day you be smart enough to quit putting yourself in the situations that hurt ya." It's a hard lesson to learn, but one that this book conveys very well.